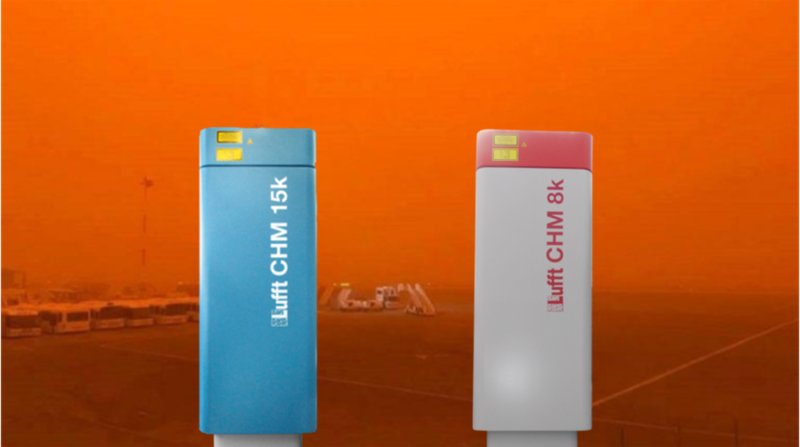 Lufft ceilometers monitor dust events such as the one at the airport in Crete. Information related to the range resolved aerosol-cloud physical properties appears to be mandatory for our better understanding of the atmospheric dynamics, air quality and climate change. 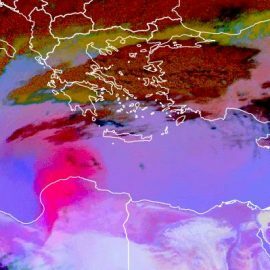 Recently, the Southern part of Greece suffered from a severe Saharan Dust outbreak. 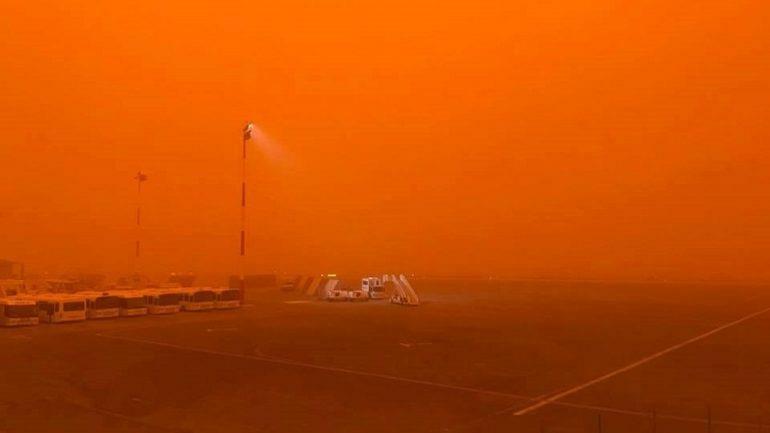 The dust had been driven across the Mediterranean due to strong south winds. The island of Crete was mostly affected by the yellow desert sand due to its proximity to the African continent. 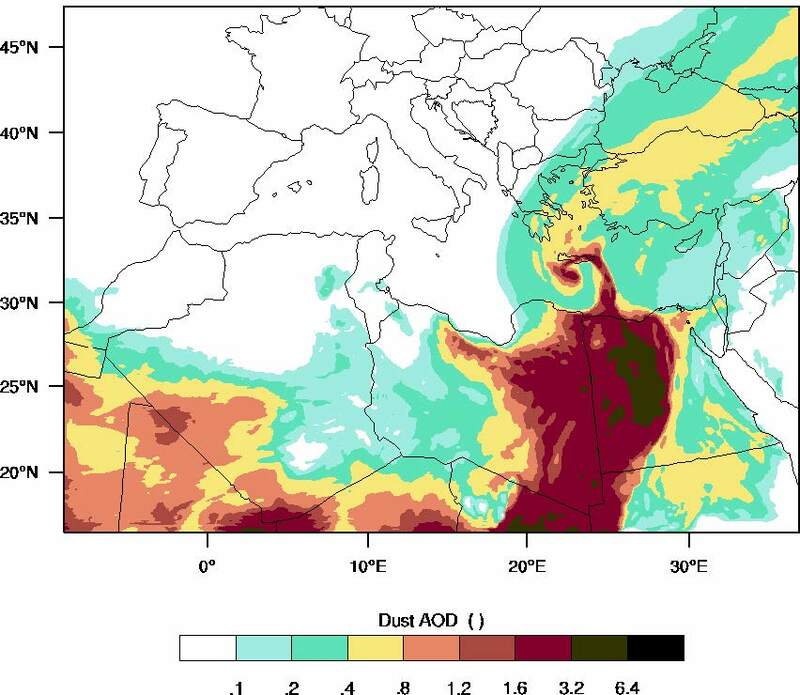 The spatio-temporal evolution of the dust event was monitored from a remote location called “Finokalia” by a multi-wavelength dual depolarization Raman lidar, which is property of the National Observatory of Athens. The remote atmospheric monitoring station is operated by the Environmental Chemical Processes Laboratory (ECPL) of the Department of Chemistry of the University of Crete. 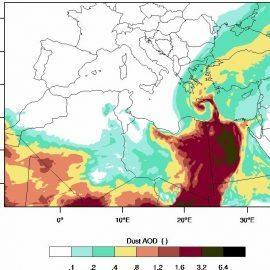 Greece is frequently affected by dust events originated from Sahara desert. The stronger the dust load over the country, the more intense is its social and economic impact. During the case described above, high risk population groups, e.g. people with respiratory problems, were in real danger. The health authorities advised them to stay in their homes and be very careful. 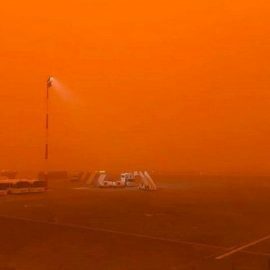 Moreover, the transportation sector can also be affected drastically: During the dust outbreak in March, some flights had to be redirected because of the poor visibility. The Honorary Professor of Atmospheric Physics, Christos Zerefos, recently reported that the climate will become even more destabilized in the years to come and the fluctuation of extreme phenomena will become even more frequent. As a result, more dust transfers from the African continent are expected. In this new reality, the Scientific Community will need a denser monitoring network with precise sensors for making reliable conclusions. 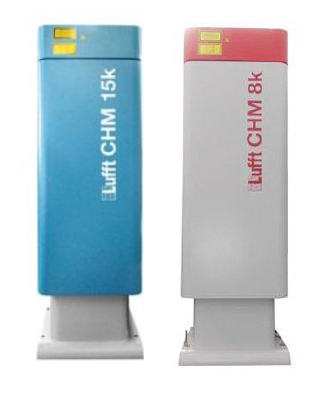 The LIDAR-based ceilometers Lufft CHM 15k and latest CHM8k, measure aerosol backscatter profiles and cloud bases, cloud penetration depths and aerosol structures in multiple layers as well as vertical visibility and sky condition index within operating range of up to 15km (CHM15k) and 8km (CHM8k). They are both equipped with an integrated controller offering a fully embedded real-time calculation of all target parameters and comfortable user interfaces. 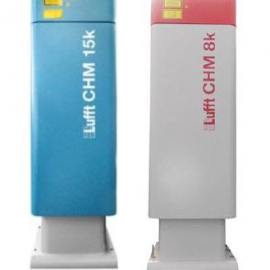 The Lufft ceilometer series is prepared to work throughout the year and in any climate. Due to the double case structure combined with a window blower and an automatic heating system, the ceilometers are unaffected by fogging, precipitation, freezing or overheating. In addition, the long-life laser sources, filters with narrow bandwidth as well as highly sensitive photodetectors ensure reliable and accurate results at any time – no matter if it’s day or night. The Lufft ceilometers are used by meteo services, as part of Automated Surface Observing Systems (ASOS) on Airports, by Environmental Protection Agencies, universities and for the monitoring of heliports. 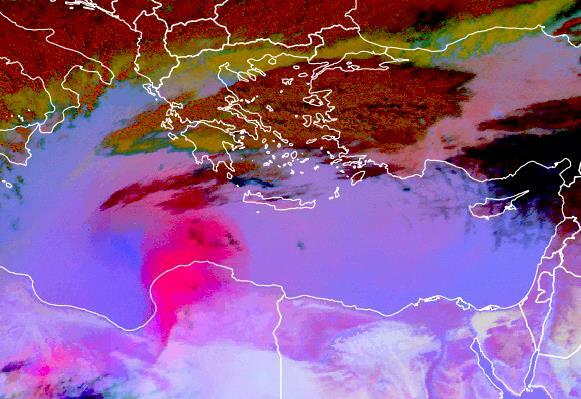 In the case of sand dust drifts such as those occurring in Greece, ceilometer measurement networks can detect and analyse the particles and track their direction. The information helps in the preparation of motion prognoses and the assessment of how dangerous the dust can become for us. 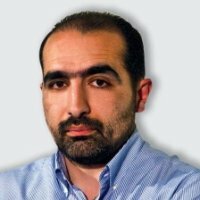 Nektarios Saroukos holds a degree in electrical engineering and has been working for the engineering and technical office AEVEKO in Athens since 2007. Here, he's responsible for the distribution and technical support of electromechanical products, which are used in, amongst others, road and rail tunnels, power plants and refineries. Since 2001, AEVEKO is exclusive Lufft partner selling their traffic and meteo products throughout Greece. και dust load forecast (από άγνωστο εκδότη). για τις δυνατότητες των ceilometers σας. I will put you in direct contact to the author of this article Nektarios Saroukos, who is also our local partner in Greece. He can share with you more details about this important project.